The Beverley Folk Fringe Festival comes to the Memorial Hall, Saturday 16th June 2018, Doors open 7 pm. Dan Webster & Very Special Guests, including, Polly Bolton & Bella Gaffney, Jack Parker, Katie Spencer. Tickets: £10 advance. £8 advance for residents, from WeGotTickets or Yorkshire Ticket Shop. Free to (cancelled) Beverley Folk Festival ticket holders on the door. Dan Webster says “We were really sad about the demise of the Beverley Folk Festival this year. We were particularly looking forward to our main stage support for festival headliners. The news that ticket holders were not going to be refunded we felt couldn’t be just left uncompensated so we’ve hired the Memorial Hall in Beverley and if you have a ticket to the Beverley Folk Festival you can attend this event for free. 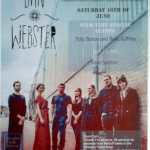 Joining The Dan Webster Band on the bill for this show are the fantastic Bella Gaffney and Polly Bolton, Jack Parker and Katie Spencer who were all due to be playing the festival this year. If you have a ticket for the Beverley Folk Festival simply present it or proof you purchased one on the door. 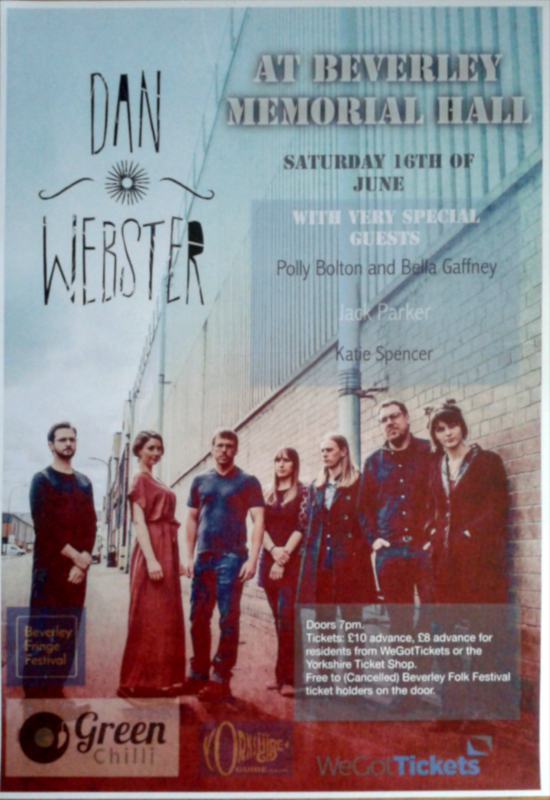 Dan Webster is described as ‘one of the the U.K’s best kept musical secrets and one not to miss!’. According to Americana UK – ‘He is the missing link, the joining point, where folk fuses with country – as good as you’ll hear on any record out of Austin or Nashville – beautiful – he is Anglicana’. Dan is a road seasoned English singer-songwriter, his music is influenced by sounds and story telling traditions of American and British Folk music, which he uniquely blends into his own distinct sound. Folk and acoustic singer Bella Gaffney writes folk inspired songs which she performs along with her own original arrangements of traditional pieces. Talented vocalist, singing a range of haunting, traditional ballads.